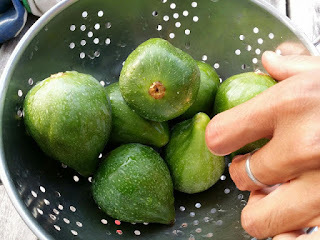 The end of July in Seattle means its time for the King of Figs to share it's bounty with us. I LOVE The Desert King fig! It's large size juicy sweet berry tones and immense productivity makes it a must have for growers in this zone. 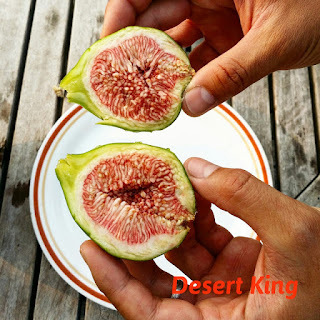 I like to pick my Dessert kings when they are super soft and juicy. They get to the point where you can just slurp them down. One taste and you're hooked. I do have to say that I've seen DK from growers in hot climates like Arizona and the fruit just doesn't look as appealing or large as they do here in Seattle. 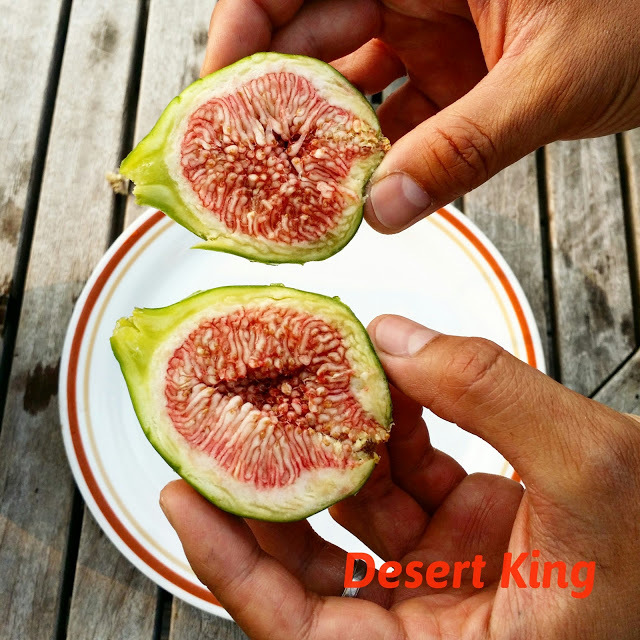 One ripe Seattle Desert King fig can fill you up quick.